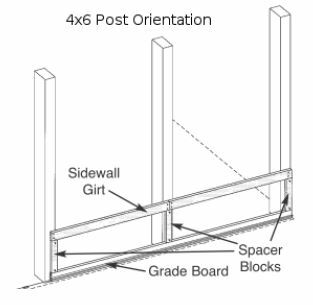 The new terminology for pole barns is now post frame construction or post frame buildings. 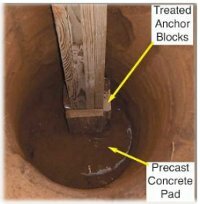 One of the biggest advantages this type of construction has over stick built construction is a reduction in foundation costs, specifically perimeter footers and site work necessary to erect the building. This advantage can melt away if a building is constructed with inferior materials or incorrectly specified material. Everyone wants to save money whether by purchasing a pole barn kit and constructing their building DIY or simply by finding the best price for turnkey barns. 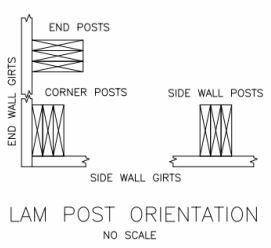 Numerous engineering calculations go into the sizing, spacing, and embedment depth of posts for pole buildings. Whether a 4x6, 6x6, or glulam post is used they should be treated with CCA type III to a retention level of .60 pcf KDAT (kiln dry after treatment) or compatible level of treatment to achieve a UC4B rating. The rating for structural wood is UC4B by the AWPA and in severe decay areas UC4C ratings are recommended. Note- CCA is no longer available in residential applications but is used for structural wood in many areas of the country. Southern Yellow Pine is an easy lumber species to treat due to the fact that it contains more sapwood and less heartwood than many other types of wood. Plainly stated, heartwood is more difficult to treat than sapwood due to penetration issues. Douglas fir and hemlock are the lumber of choice in the Pacific region of the country as well as parts of the Midwest and upper east coast. Doug fir is available in long lengths, strong, and seems straighter more often. Wood in the pacific northwest is harder than soft southern yellow pine. This causes treatment to many times be a "treat until refusal" situation rather than treatment to a specific level as specified by AWPA. Laminated columns readily absorb treatment better than solid sawn posts like 4x6 or 6x6 posts. There is more surface area for treatment absorption. They are stronger, straighter and just better.